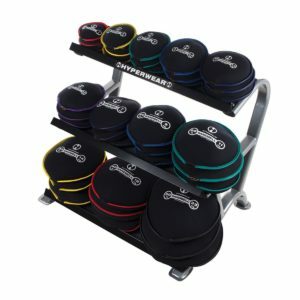 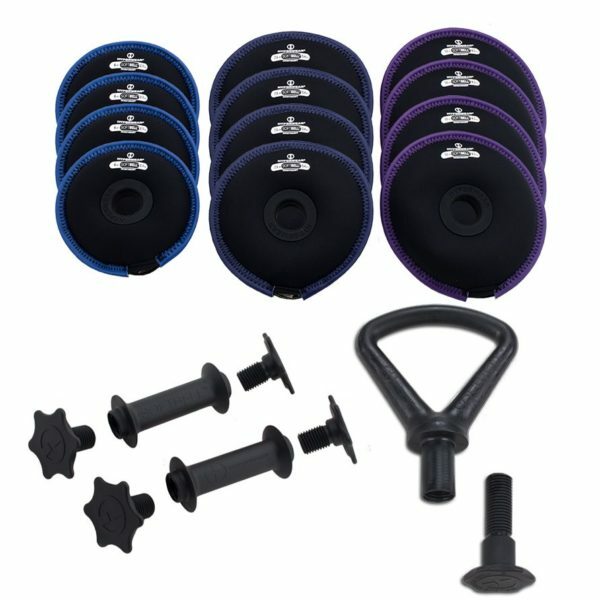 The SoftBell DumbBell/KettleBell Heavy Set can make a pair of 12lb, 15lb, 20lb DumbBells and a Kettlebell up to 30lbs. The SoftBell Kettlebell DumbBell Heavy Set can make a a variety of DumbBell pairs from 12 to 20lbs and KettleBells up to 30lbs. 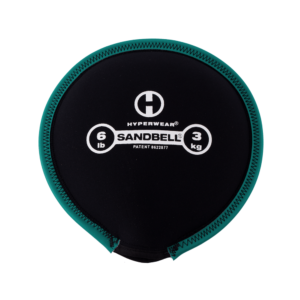 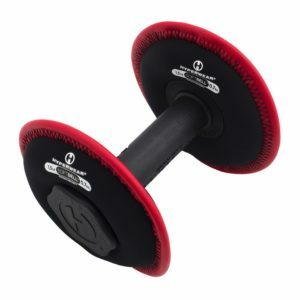 It comes with one easy-grip reinforced plastic Kettlebell Handle and a Long Bolt for attaching up to three soft weight plates, and two SoftBell DumbBell Handles with 4 Short Bolts for attaching one soft weight plate per side. 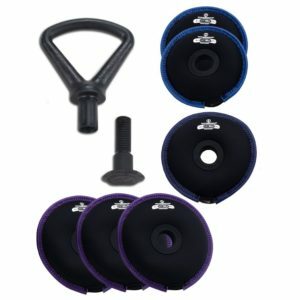 The set includes four 6lb plates, four 7.5lb plates and four 10lb plates. 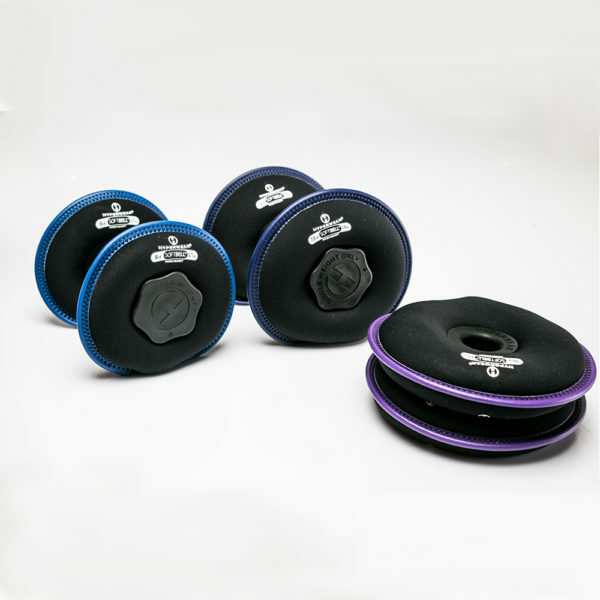 All SoftBell free weights are interchangeable allowing you the flexibility to mix and match SoftBell weight plates to vary your workout. 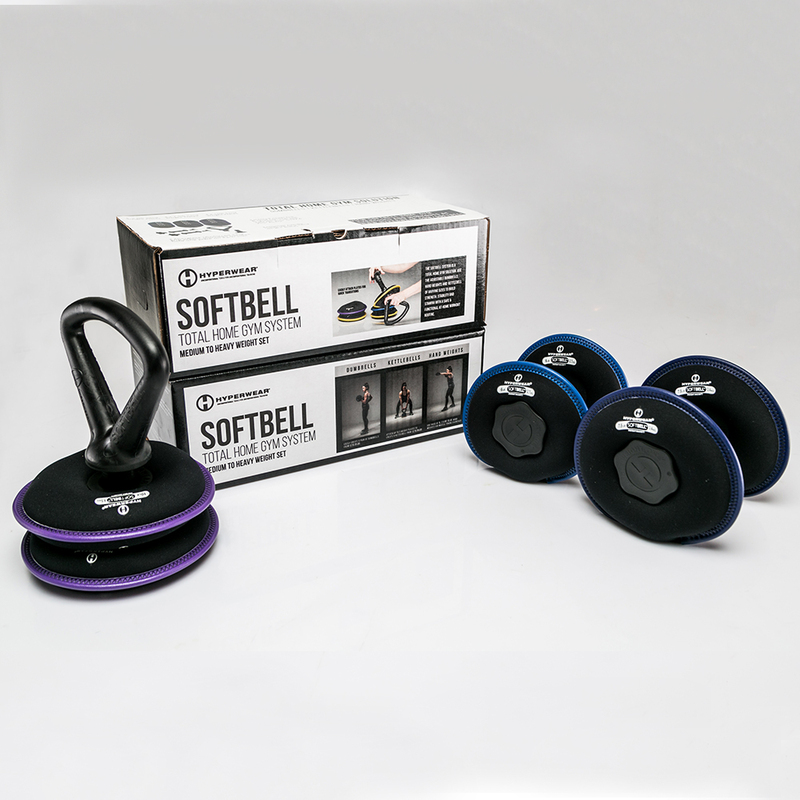 The SoftBell Kettlebell DumbBell Heavy Set can make a a variety of DumbBells from 12 to 20lbs and KettleBells up to 30lbs. It comes with one easy-grip reinforced plastic Kettlebell Handle and a Long Bolt for attaching up to three soft weight plates and two SoftBell DumbBell Handles with 4 Short Bolts for attaching one soft weight plate per side. 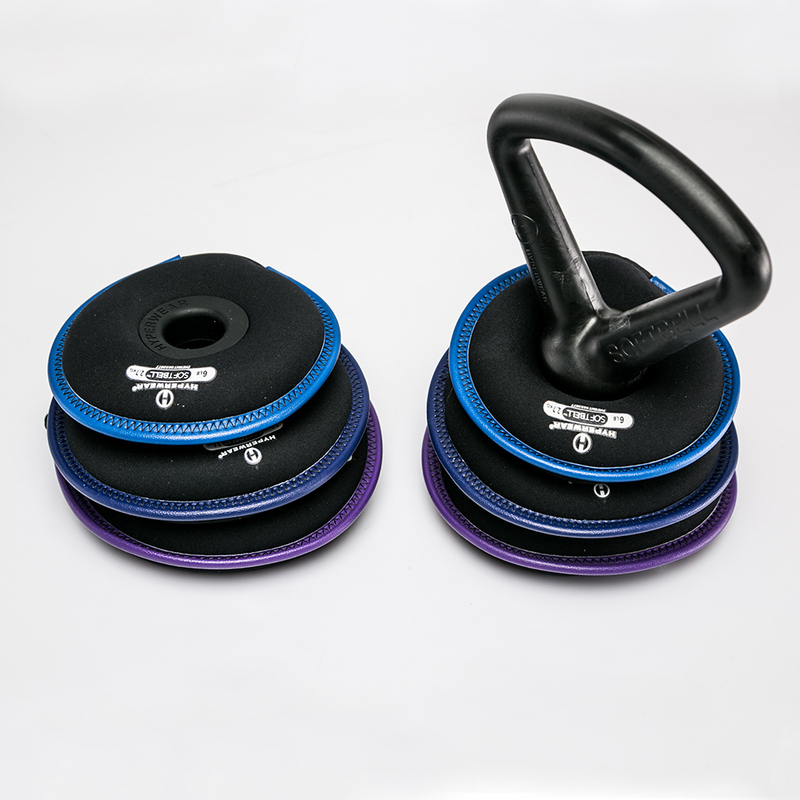 The set includes four 6lb plates, four 7.5lb plates and four 10lb plates. 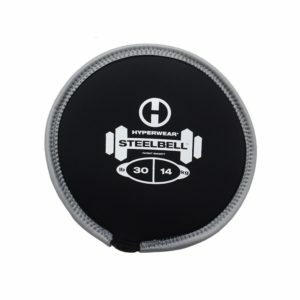 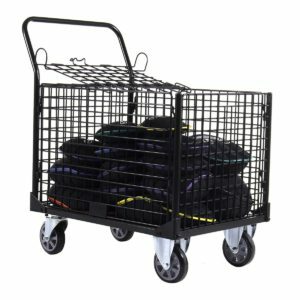 All SoftBell free weights are interchangeable allowing you the flexibility to mix and match SoftBell weight plates to vary your workout.